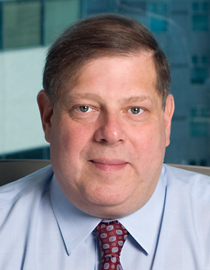 Burson-Marsteller reported its strongest year on record in 2010 as it built upon momentum that began in 2006 under worldwide president and CEO Mark Penn. Despite some setbacks in 2009 – Penn says the firm was down less than 2% – 2010 gave way to 13% growth in the US and double-digit growth for Burson's Asia and Latin America operations. The EMEA region had single-digit growth in 2010. "2010 puts us in the strongest position we have ever been in terms of overall size and revenue, profitability, and margins," he adds. The firm won business with Foxconn, Bridgepoint Education, Hawaiian Airlines, and Shire. It also expanded work with Coca-Cola, Sony Electronics, and Ford. Penn says Direct Impact, the Burson subsidiary that manages WPP's integrated Ford agency team, showed "significant" growth, noting that the firm has tripled in size in the last five years. "We continue to build on what we've been doing over the past five years," says Penn. "The goal was really to re-establish the momentum in 2010, which I think we did." Burson hired Helene Ellison as chair of the global healthcare practice, Jim Goldman as US tech practice chair, Peter Johnston as global CIO, and Ainsley Perrien as deputy chair of the US media practice. Other global appointments included Bob Pickard as CEO of Asia-Pacific and Matt Carter as CEO of the UK. Overall, headcount rose 6% to more than 2,200 staffers worldwide. Departures included Erin Byrne, former global digital lead who was hired at Grey Healthcare Group, and Josh Gottheimer, former EVP, who joined the Federal Communications Commission. Bloomberg hired former COO Richard Powell. In 2010, Burson reopened an office in Kuala Lumpur and acquired a 30% equity stake in Poland's Solski PR. This year, it is looking into acquisitions in BRIC countries. "Our primary source of growing global business is taking relationships of trust that start on a limited basis and extending them," explains Penn. "That's where the most consistent expansions of our business are." Even as Burson retains its reputation as a go-to firm during a crisis, Penn explains that the definition of a crisis is changing. "It's a world in which there are more crises than we've ever seen before, happening not just individually with corporations, but broadly in the world where companies have to react to changing conditions, whether it's in the Mideast or in Japan," he adds. Penn notes that the firm is reporting growth globally in Q1 2011. This year, he says the agency will expand "aggressively" in consumer, while also building out its healthcare practice. He also cites investment in digital, public affairs, corporate, and technology as key targets in 2011. Burson launched a global strategy team early in 2011, led by EVP Jay Leveton and staffed by the firm's top executives. Penn notes that multinationals, particularly non-US-based firms, are turning out to be strong sources of potential growth this year. "We're going to look toward continued global growth," he says.